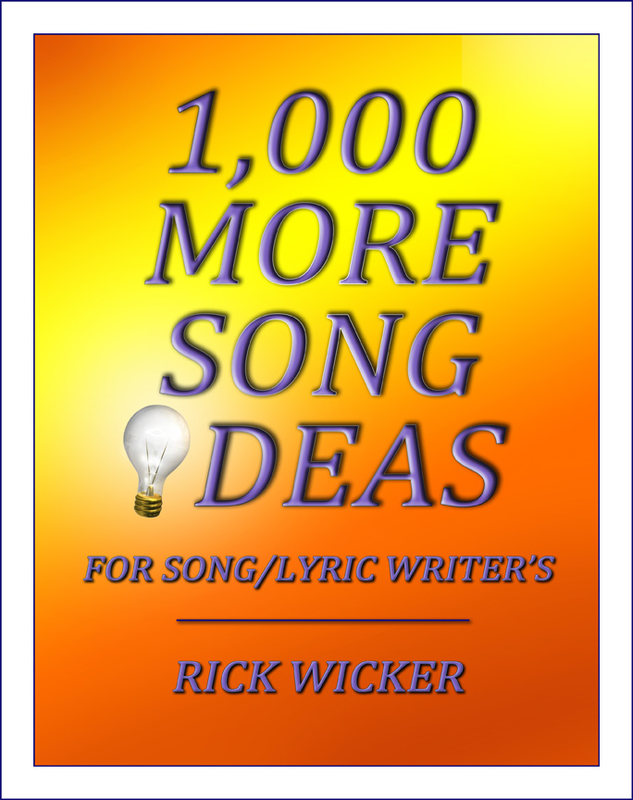 This book is a compilation of all three ‘Song Ideas’ books by Songwriter Rick Wicker. There are 4,400 song ideas/titles/phrases and hooklines to stimulate the user’s imagination in unexpected ways. They are designed to jumpstart the creative writing process by providing song starting points with strong development potential. The initial phase of writing is addressed from the perspective that verses and choruses follow a strong central idea. Beginning with an interesting turn of phrase or a catchy title can give focus to your writing. HookBooks such as this are used by many successful songwriters. The benefit to you is greater creativity which can help take your writing to the next level. It may also provide just what you’re looking for if you experience occasional “Writer’s Block”. 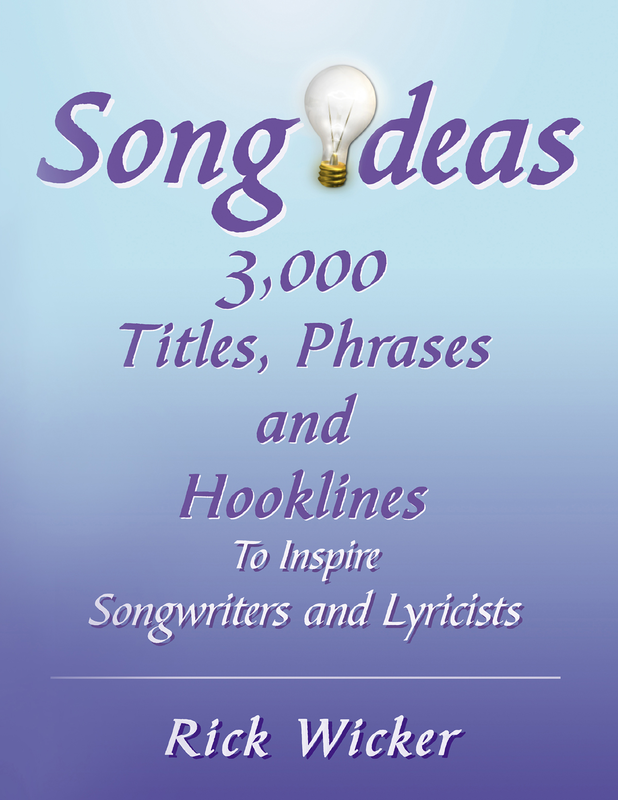 Many successful songwriters use what is called a “HookBook” or “Ideas Book” when they begin writing their next hit song. This generally consists of a collection of titles and song thoughts that were previously written down when inspiration struck (the 'Lightbulb On' moment). 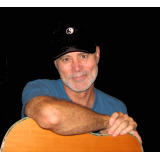 Nashville veteran singer-songwriter Rick Wicker is offering you access to this useful ‘behind the scenes’ tool. 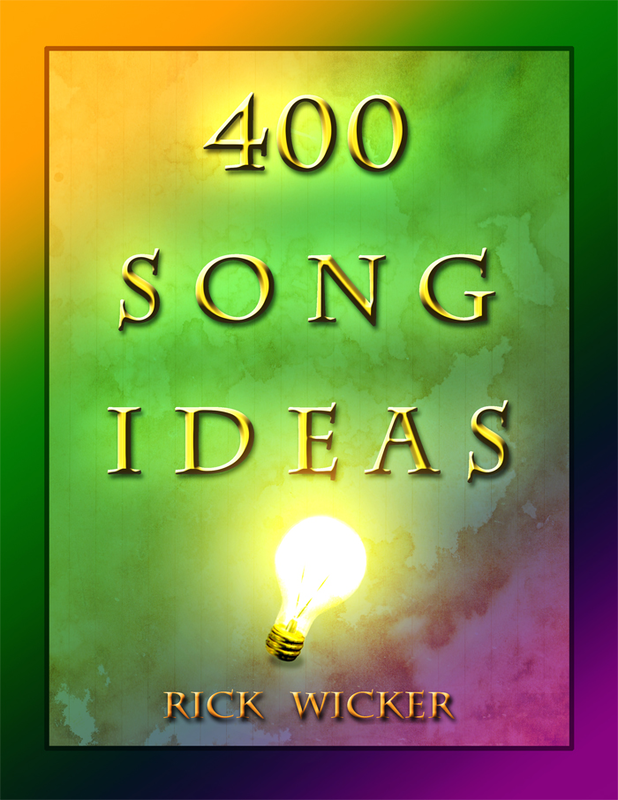 His books, '400 Song Ideas', '1,000 More Song Ideas,' ‘Song Ideas - 3,000 Titles, Phrases and Hooklines’ and '4,400 Song Ideas - All 3 Books in 1' are full of great song starting ideas for you to experiment with. These books were nearly 40 years in the making.